Bonus: For more information on how to properly blow a short reed goose call please click here - goose calling video. In the history of goose calling, Tim Grounds is the only call maker to have had three different goose calls win the World Goose Calling Championship© in Easton, Maryland. 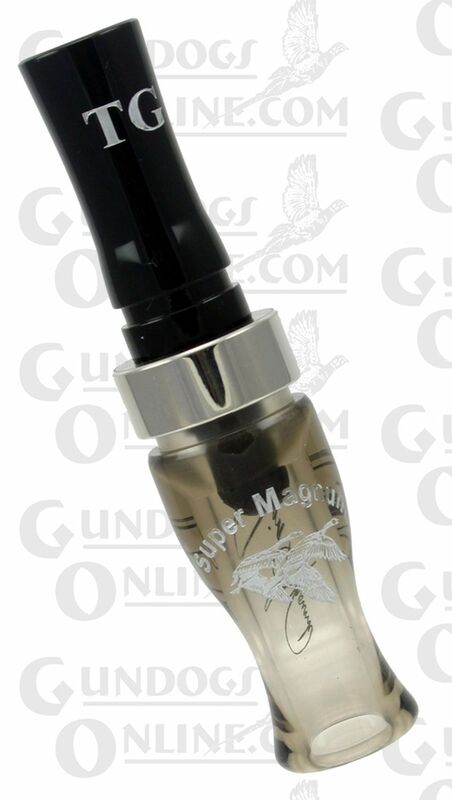 The Tim Grounds Super Mag goose call won the 2000 World Champion of Champions contest in Easton, MD. 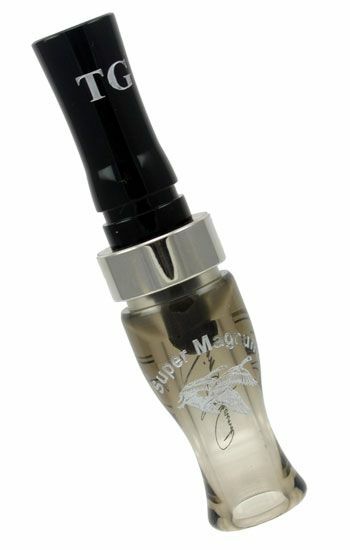 The Super Mag is the very first short reed goose call to ever win the prestigious World Champion of Champions title in Easton Maryland. Their performance and quality is untouched. This is one of the hottest calls on the market today. Kelly Powers used this call to win the World Champion Goose Calling contest in Easton, MD, 1999. Twelve year old, Hunter Grounds, placed 5th behind Kelly and took 1st in the Junior Division. These high quality calls are easily mastered and, of course, are tuned by Tim. Please note - Due to health concerns we do not accept returns on goose and duck calls.